As opposed to what many people think, Satori is not a special state. It is simply a return to the original, natural condition of the human mind. Satori, or Enlightenment, is not something that can be understood by using the brain. Satori is an experience; it is a state of mind. The posture of Zazen itself is Satori, and only through the harmony of body and mind one can discover the nature of Satori. Satori exists in us long before we are born. Animals always have Satori, being constantly in their original condition, totally immersed in the present and connected to the Cosmos. Only human beings have lost this original condition of the consciousness, and have thus become more complicated. In order to have true inner peace, human beings must regain this original condition of Satori. 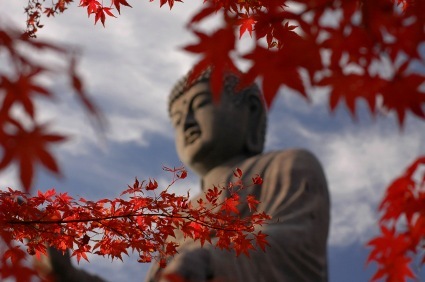 However, in your journey to regain Satori, don’t tell yourself, “I have to become Buddha. I’ve got to achieve satori.” This is a waste of time and energy because this attitude reinforces the mistaken idea that Satori is some kind of goal to be achieved. Simply live your daily life normally, practice zazen, and let go of everything. Do not try too hard to understand what Satori is, or how to achieve it. Again, this is a waste of time. When we start trying to explain it what Satori is, we start putting it into limiting categories, saying, “Satori is this, Satori is not that.” In Zen, there are no categories; nothing can be separate. The only way to truly have Satori is by practicing Zazen in the here and now. Fudoshin is the ‘immovable mind’, that is, the mind that has met all challenges of life, and has attained a state of complete composure and fearlessness. This state of equanimity is essential in the practice of Zazen and Budo. In Feudal Japan, Fudoshin was manifested in the Samurai’s unquestionable demonstration of courage, and determination to face difficulty, danger, pain, and even death, without fear. 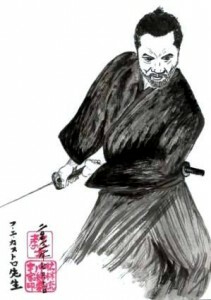 As the great Japanese swordsman Tsukahara Bokuden said: “Mental calmness, not skill, is the sign of a matured samurai”. From a Western viewpoint, the concept of a Warrior (Samurai, Bushi) without anger or rage, a peaceful warrior, can be quite difficult to understand and accept. Being exceedingly dualistic, we can hardly reconcile the ideas of violence and a peaceful and calm mind, but this state of mind was the essence of the Samurai and is today the essence of martial arts like kendo, judo, karate or aikido. In our daily life, Fudoshin is the protection against the “shikai” or four sicknesses of the mind: anger, doubt, fear and surprise. Through the rigorous practice of Zazen, the students learn implicitly to center themselves and clear their mind thus developing a Fudoshin mind. In this era of random acts of violence, road rage, domestic violence and other losses of self control, it is not hard to see how development of fudoshin can make everyone’s life better. 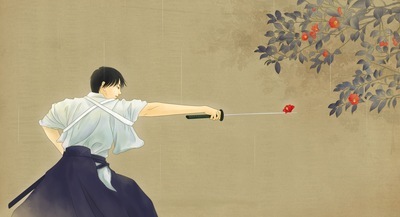 Zanshin is a concept found in Zen, Budo (Japanese martial arts), particularly Kendo, and in many Japanese arts, such as Ikebana (flower arrangement), chado (the tea ceremony) and sumi-e (ink painting). Simply put, Zanshin is the state when the mind is fully vigilant and aware of its surroundings; when the mind remains still without being attached to anything and is totally present during every moment and action in the here and now. Everything is interconnected, and the entire Cosmos is influenced by our attitude; that is, all the words we speak, all the actions we carry out, and all the ways we move influence what is happening inside of us and around us. In Budo, Zanshin means being aware of one’s surroundings and enemies, while being prepared to react and being unaffected by pain. It is a state of mind that takes years of training to develop. Through the practice of Zazen and Budo, little by little, this kind of alertness can expand to every action of one’s daily life, and in the end, one realizes that there are no ordinary moments. In Zen, the concept of Mushotoku represents a state of mind where the spirit does not seek to obtain anything. This is the attitude of a mind that do not get attached to objects and that seeks no personal profit. Without this state of mind, Zazen is not authentic. Universal wisdom is rooted in Mushotoku and it transcends dualities and limitations created by our egos. When you are mushotoku, even if you lose you are always free, always happy. This concept of acting without wanting to achieve a result, and giving without wanting something in return is one of the most difficult ideas for Westerners to understand as we tend to think in terms of profit: “If I give him this maybe he’ll give me that in return”. We must not practice Zen meditation, or Zazen, with a hope to personally profit. Do not practice for Zazen for fame or profit; do not practice it to obtain a reward; do not practice it to obtain esoteric powers. Do not practice Zazen for yourself; simply practice Zazen for Zazen. Zazen has no object and no subject; it is simply the union of the absolute self with the Cosmos. In the martial arts, too, one must be mushotoku, without any goal or desire for profit. In daily life, man always wants to obtain what he does not have, and he is afraid of losing what he already has. Some people are constantly thinking of profit, wondering what they can get in return for what they give. Or course, in everyday life you must sometimes make a profit in order to survive. Hishiryo is a state of mind beyond thinking and non-thinking. During Zazen, it is the normal condition of the consciousness. Consciousness during zen meditation is not the same as in daily life, it does not behave like the intellect. During zazen, we have thoughts that appears and disappears naturally, this is perfectly normal. If we let those thoughts come and go freely, without giving form to those thought, without wanting to chase them, the intellect becomes peaceful by itself and hishiryo consciousness appears, beyond thinking and non-thinking. When you are thinking constantly, you are not in the mind’s normal condition. Your imagination and personal desires are expressing themselves to your mind, taking you away from your mind’s simple, peaceful, original condition. The more you think, the more afraid you become, and the more anxious you grow. After too long, complications and even madness can arise from this. When you think too much, conflicts and battles take hold of your mind, preventing you from ever finding true peace. This prevents you from harmonizing with reality, and with the Universe as a whole. When you stop this internal activity, you return to the normal, simple, and peaceful condition of the mind. We can observe the simplicity of Hishiryo in animals. Cats are, for example, very simple creatures. They are easy to understand and are not complicated. A cat does as it pleases, and it is completely connected with the present, never overthinking. Animals live true Zen, as they are totally connected with the present moment, and by extension, the Cosmos. Thus, we should look to them as examples in our journey to become one with the Universe. Hishiryo is the absolute egolessness consciousness, in full unity with the whole Universe. and like Zen, it can cannot be explained but it can be experienced during zazen, naturally and unconsciously. Mushin is the essence of Zen and Budo. Mushin literally means the “mind without mind”, and it is commonly called “the state of no-mindness”. 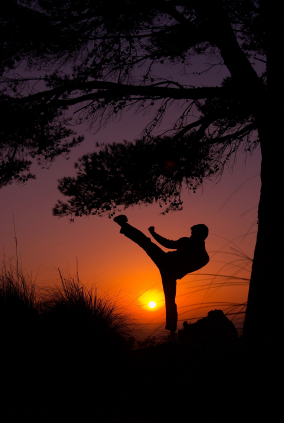 Mushin is the essence of Zen and Japanese martial arts. It is a state of mind where mind is not fixed on or occupied by any thought or emotion, and is thus connected to the Cosmos. In Zen on in your daily life, if the impulse is expressed as conscious thought, it is not Zen. This pure state of mind, of pure mental clarity is produced by the absence of the ego or limited self. A Mushin mind is not an empty mind like an empty shell, on the contrary is it a mind fully present, aware and free. “Mu” or “emptiness” in Mushin refers to an empty mind in the sense that distractions, preoccupations, fears, worries, are absent and are no more an issue for the mind, whether in combat or in daily life. The concept of Mushin is identical to the Japanese metaphorical expression “mizu no kokoro” or the “mind like water.” This mental attitude refers to a mind that is in total harmony with the Cosmos that it resembles a still pond of water without any ripples where the surface reflects a clear and perfectly undistorted image of the surroundings, like a mirror. Mushin cannot be grasped with the intellect; it must be experienced. A Mushin mind has no Ego and no substance; it is pure Enlightenment and is the perfect realization of the self. This state of mind takes years and years of practice to achieve, Mushin is achieved when a person’s mind is free from anger, fear, judgement or the ego during combat or everyday life. i am a martial artist based on zen and taoist concepts. i have trained in: Thai Boxing. Western Boxing. Western Fencing. 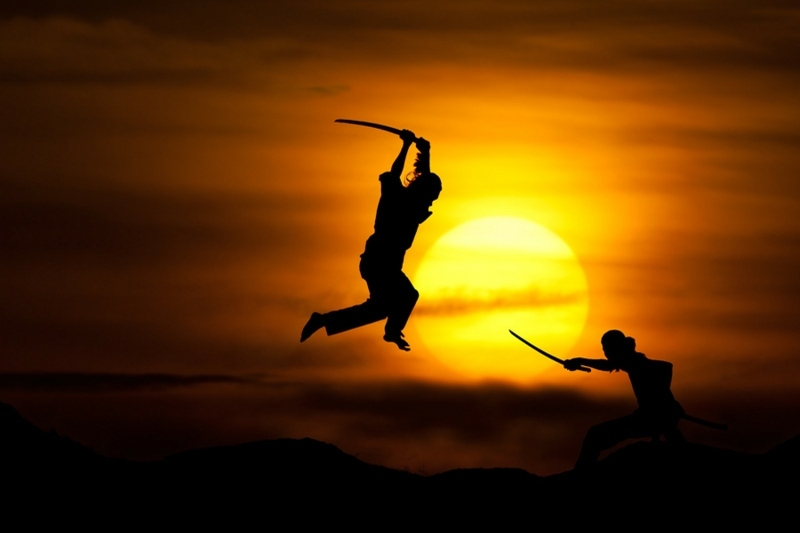 Japanese Kenjutsu. Shurikenjutsu. Iaijutsu. Nunchaku. Yogunjutsu. Jeet Kiri Do. and Jeet Kune Do. Philosophy. General world history. War History and Tactics. All Basic scientific branches. sooooo what ur saying is build a dojo/sow village…..k….. workin on it, hopefully.